Pery Square Business College provides scheduled training courses for individuals, groups and business owners and provides customised training for companies in Limerick City and the Munster region. We are a well respected and professional Training Provider that has provided training for the past 26 years. 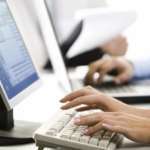 We run QQI, ECDL & Short Training Courses & are a MOS & ECDL Testing Centre in the heart of Limerick City. We run scheduled training courses from our premises in Pery Square and also offer onsite training tailored to the needs of any organisation. Trainers at Pery Square Business College are highly qualified and group sizes are kept small for more individual attention. We cater for all ages and skill levels – from Absolute Beginners to Business Professionals and Trainers. Specially customised training affords our Business Clients the assurance of compliance within their I.T. and customer service systems. For more information about business courses and training courses at Pery Square Business College in Limerick City, please view our courses below in the Nightcourses.com Course Finder.